Do you want to learn how to draw Brian Griffin from Family Guy? 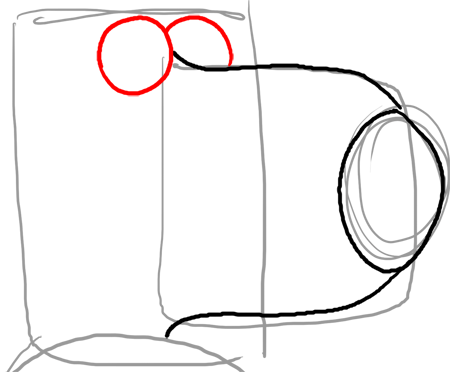 I have put together a step-by-step tutorial that will help you figure out how to draw the dog, Brian, by using simple shapes to build up Brian’s form. This is an intermediate cartooning tutorial that kids, teens, and adults will enjoy. Even some younger children might be able to draw Brian if you stand by to help with the instructions. Enjoy! You might also want to learn how to draw Stewie Griffin or Peter Griffin or Chris Griffin. 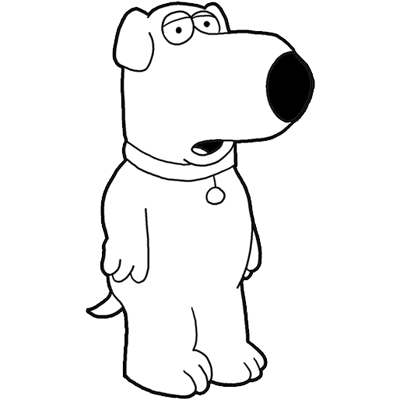 The above picture of a cartoon dog Brian Griffin from Family Guy is what we will be drawing step by step today. 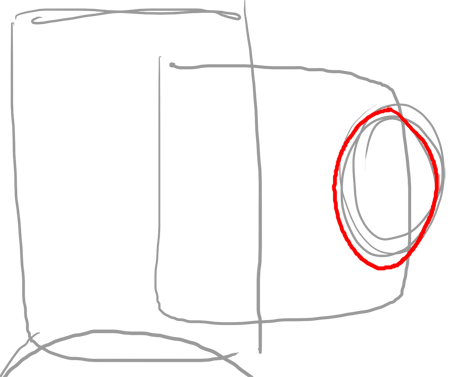 Find this drawing tutorial below. Get out a piece of paper, a pencil, and a black marker. Good luck. 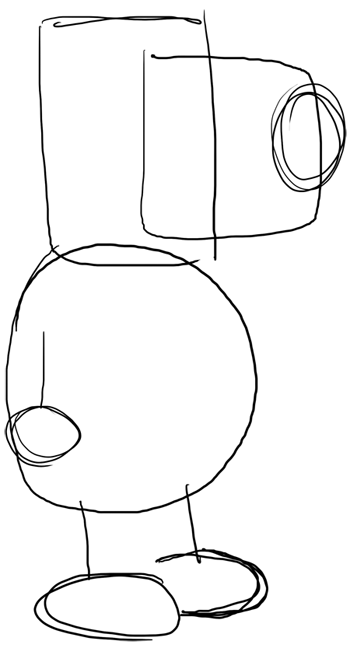 First, lightly draw out the basic shapes of Brian. Now lets refine the shape of Brian’s nose. 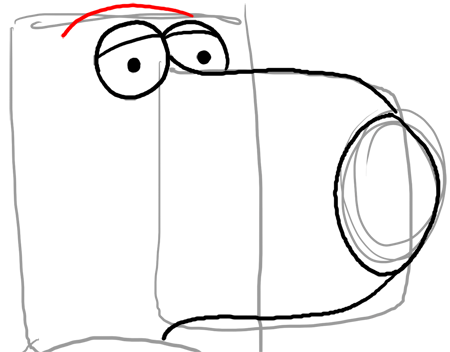 Now lets refine the shape of Brian’s snout (sideways it looks like a capital letter ‘U’. Draw Brian’s eyes. 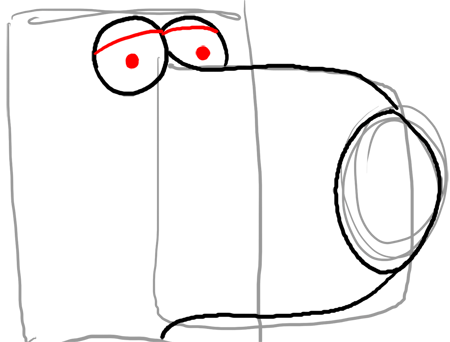 Brian’s eyes are circles (part of one is behind the snout). 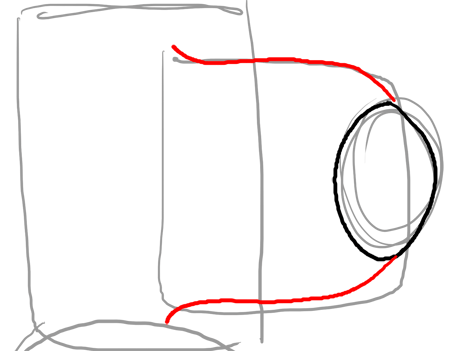 The eye that is farther away, appears a bit lower and smaller. Now draw Brian’s pupils and eye lids. The lower the eyelids, the sleepier Brian will look, so make sure that you put them at the right spot or you will have a sleepy or very alert dog. Now put a curved line above Brian’s eyes. Stacy!! That is the best compliment you could have given me. Thank you! Thank you so much for the tutorial!!! I love these things!!! i KEEP DRAWING AND GETTING BETTER!!!! No affence, but you mean if I draw a lot of the popular or any drawing how to from this site I can get better at drawing Than I am already am? how in the world do u draw this?? Are you the person who actually made Family Guy?! I love that show XD Haha okay byee now!